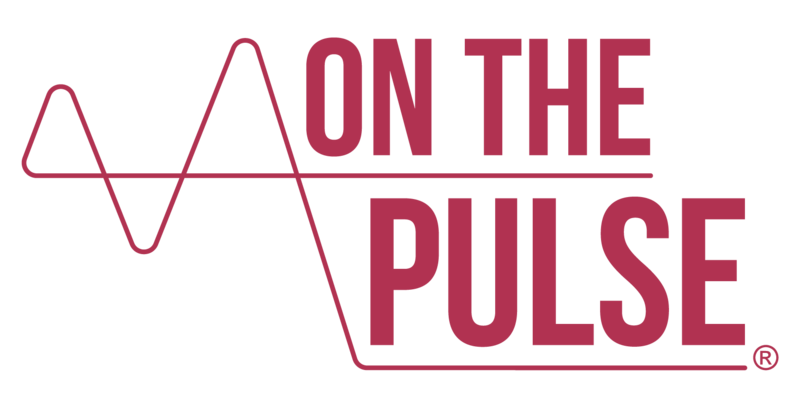 It has been a busy few weeks at On The Pulse HQ, not least because I applied for the one vacant Trustee place at The Haemophilia Society. Those of you who know me will appreciate the significance of the charity’s early endorsement and influence on my involvement in the bleeding disorder and wider rare disease space. I have always endeavoured to help contribute towards The Haemophilia Society’s profile-raising with my wholehearted support to its cause. 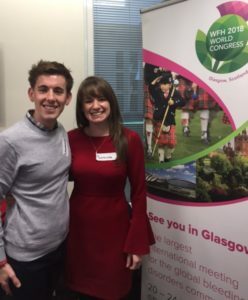 It was my wish to bring something different from my activity on the ground (as you might say), together with lived experience and family impact of haemophilia to the table; to drive the delivery of ever better support and services for our community. I attended their Annual General Meeting (AGM) on Saturday 18th November in London, where the results were announced. With two other very worthy candidates in the running, it was really encouraging to know that so many more members had submitted their ballot papers, increasing four-fold from last year’s election to 532 votes. I was so pleased and humbled to know 193 of them ticked the box next to my name and I really want to take this opportunity to say a BIG thank you if this was you. Unfortunately, it was not enough on this occasion but I would like to congratulate Sonia O’Hara on her success with 295 – a clear majority and well deserved! Although I would have relished the opportunity to serve for the three-year term, it gives me great confidence and encouragement that someone with Sonia’s background and acumen, notably in health policy, as well as familiarity with haemophilia and bleeding disorders, is joining the board. 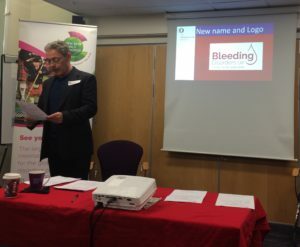 Along with the Trustee election, it was declared that The Haemophilia Society was changing its name to Bleeding Disorders UK, although I understood this was not going to come into effect until after the contaminated blood inquiry. I believe this was to reflect the inclusive nature of the charity and its mission to represent people and families affected by all bleeding disorders. I empathised with the members who wanted this to happen, whilst also respecting those who felt differently and/or may have questioned the consultation process. I have since learnt they are no longer proceeding with this decision at this point. I can only speak as someone living with and advocating for haemophilia – where new and potentially life changing therapeutic options are either available now, coming to market or in the pipeline – that clearly, it is ever more important the patient organisation is seen to be leading the information giving effectively and equipping members with the knowledge and tools to become more activated and empowered about their own individual needs and care. The momentum of innovation in haemophilia is ever increasing, which makes for exciting and hopeful times for possibly many of us. But I am already seeing there is a widening knowledge gap that needs addressing before it creates its own inherent problems. Beyond any name change, there has to be strong and progressive representation that encapsulates the many facets and realities of having haemophilia, to safeguard us, and the next generations, a life without bleeds. I want the best for our community and have faith in the charity wanting the same, so will continue making every effort to do what I can to make a difference, both as a member and through my consultancy. Thank you for taking the time to write and share this. I hope you will continue your involvement and I am hope a trustee position will come your way as you have so much to offer. Keep up the good work. Thank you for taking the time to read the blog, Elizabeth! Your consideration and support is greatly appreciated. Best wishes, Laurence.